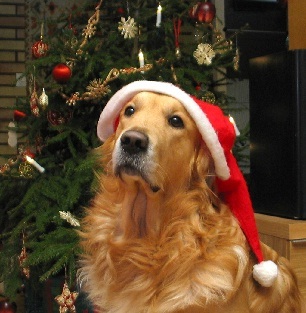 Holiday tips for a happier pet from your pet dentist! The holiday season is in full swing, and there’s no better time to remember your loved ones! That includes your four-legged, furry loved ones! At Arizona’s Arrow Group of Animal Hospitals, we think about our pets dental and health needs all year round. But specifically treating your pe t over the holidays can mean as much to them as it can do a resort spa package for your spouse. Here are some tips! Buy some new chew sticks, porkhide bones or other delights for your dog. Get your dog’s fur clipped and cleaned! They will love it! In Phoenix, there are a number of recommended pet salons – try one for the holidays. Buy a new bone for the dog, or new climbing apparatus for your cat – Solo activities like this help nurture a sense of independence for your pet, leading to a more enjoyable relationship for you and your pets. Treat both animals to a full-featured pet dentist visit – If you don’t do anything else this holiday season, this one is probably the most important. 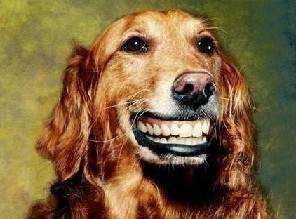 Good dental hygiene helps prevent mouth pain for dogs, decreases chance of tooth loss and improves your pet’s overall well-being. Run your dog at a new park – the change in location and fresh air and exercise will do your pet a load of good! Your pets are in some cases your best friends during the holidays. Give them the gift of love during the holidays, and make the time of year one to remember! And your pet will thank you too! This entry was posted in Arizona Pet Health and tagged Arrow Animal Hospital, pet dentist, pets dental and health, vet dentist, veterinary dental, veterinary dental services on December 20, 2011 by AZPetVet.